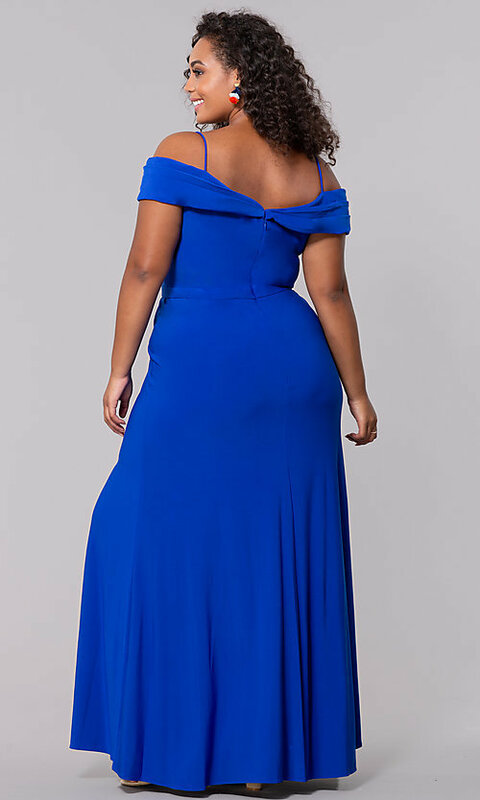 This long plus-size wedding-guest dress lets you showcase your love of fashion. 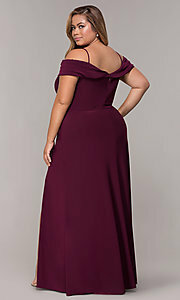 The floor-length wine red formal dress, under $150, offers a beautiful style choice at a budget-friendly price. 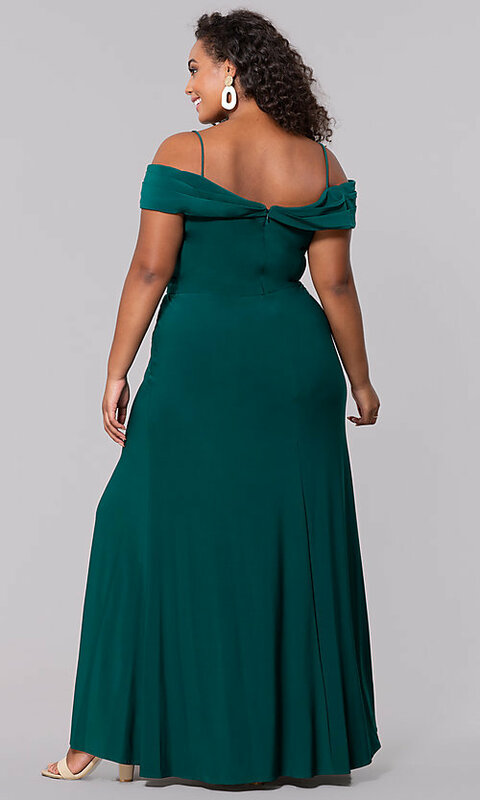 Crafted from comfortable spandex-jersey fabric, this wine red evening dress features an off-the-shoulder bodice with supporting spaghetti straps and a fold-over collar that drapes alluringly over the arms. The red dress smooths over the hips before opening in a bold side slit. This beautiful plus-size off-the-shoulder wedding-guest dress in wine red is ideal for proms, wedding celebrations, and black-tie events. 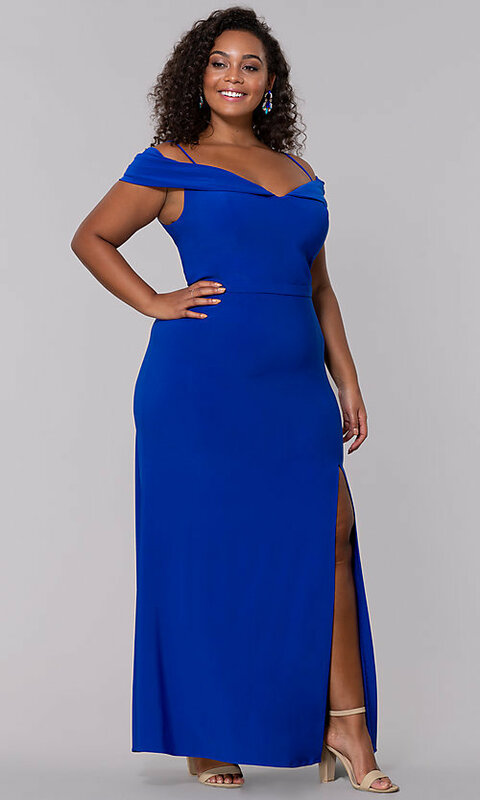 The model wearing wine is 5'8.5" and wearing 4.5" heels.